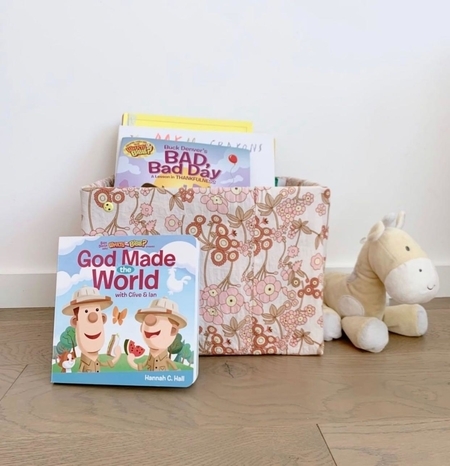 NASHVILLE, April 10, 2019 /Christian Newswire/ -- FaithWords, a division of Hachette Book Group, and JellyTelly Press, a new division of JellyTelly, a values-driven, video-on-demand platform for children, is announcing a unique new collection of kids' books this Easter. Featuring VeggieTales creator Phil Vischer's beloved characters, Buck Denver and Friends—stars of the popular Buck Denver Asks . . . What's in the Bible? series—the new collection of board, picture, and coloring books is the very first offering from JellyTelly Press. "Parents are actively looking for books that reinforce Biblical values while keeping children engaged, interested, and excited. We designed this collection with a passion to deliver on a promise to provide fresh options in a marketplace that is packed with books but offering surprisingly few new titles in the values-driven category," said Erick Goss, CEO of JellyTelly. "For parents and grandparents looking to spend time with their children this Easter, and share a gift that will last a lifetime, this collection is literally the gift that keeps on giving. Our deepest thanks to Phil Vischer and Hannah Hall for creating truly spectacular storytime resources." 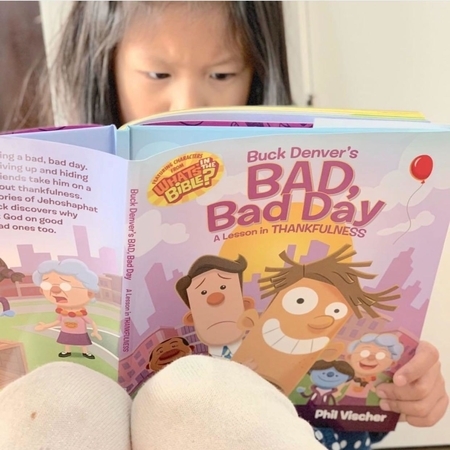 The collection includes exciting stories and page-turning Buck Denver and Friends fun, but with specific ideas at the end of each book to provide a deeper connection between parent and child and to further conversations about the Biblical values and concepts detailed in each book. Beyond the books, parents can find additional entertaining resources on JellyTelly.com—designed to offer parents a modern, multi-platform experience to enjoy together with their children. The book collection can be viewed and purchased at jellytelly.com or by clicking on this link. JellyTelly (jellytelly.com) is a rapidly growing media company focused on helping Christian parents navigate the often-complicated world of parenting, spiritual formation, and raising great kids. Its transmedia properties include a subscription streaming video on demand platform for kids (JellyTelly TV), a resource-rich parents blog (JellyTelly Parents), a curated online store with the best books, toys, and videos for Christian families (JellyTelly Store), and now, an exciting publishing imprint focused on faith and values-based books for kids (JellyTelly Press). JellyTelly helps families experience the goodness of God and integrate faith into everyday life. FaithWords, a division of Hachette Book Group, is a leading publisher of books and resources for the inspirational Christian market. Bestselling authors include Joel Osteen, Joyce Meyer, Joseph Prince, John C. Maxwell, and T.D. Jakes.